The warm climate, work-life balance and good infrastructure all round are just some attributes that have captured the hearts of expats in Sydney. The balance of modernisation and nature, coupled with a stable economy and high standard of living, make it a breeze for families to settle down in the city. Sydney, also known as the Harbour City, is the oldest and largest city in all of Australia, housing the iconic Sydney Opera House and the Sydney Harbour Bridge. According to the Economist's latest Worldwide Cost of Living Survey released in March 2016, Sydney is ranked as the fifth most expensive city in the world. Despite the costs of living, many expats continue to choose Sydney as a city to begin their life overseas as the city offers plenty of entertainment options, beachfront activities, well-equipped healthcare system and a high standard of education. Sydney was established in 1788 when a fleet of 11 ships from Portsmouth, England arrived in Australia. Carrying 759 convicts and assorted animals for livestock along with farm equipment, seeds and food supplies, these men were the first colonists. Eventually, more ships bearing supplies and more male and female convicts from the United Kingdom arrived. Thus, Sydney’s early settlers were composed mainly of criminals who worked to create a settlement composed of markets, stores and schools. Commanded by Captain Arthur Philip, the city of Sydney was named after Thomas Townshend Lord Sydney, who became British Secretary of State in 1783 and recommended that the British establish a colony in Australia. Eventually, the transportation of convicts from the United Kingdom ended in 1840. By 1842, Sydney was fully established as a city which held elections, had government offices and a house of parliament. Many expats and migrants find their ways to Sydney because of its attractive sceneries and dynamic economy. Ranked as one of the most liveable places and innovative cities in the world, it's no wonder that you have decided to start a new life here. Employment opportunities are open in various sectors such as information, technology, media and retail. Aside from those, Sydney is also known for providing quality life to its people with excellent healthcare and educational system. Continue reading the next few guidelines that will help you build your dreams in Australia’s leading financial hub. One of the top on your ‘to do list’ should be finding the best place to live. It's best that you check real estate websites in Sydney weeks before your arrival so you can have an idea about their locations and prices. Once you arrive, there are local realtors in the city that can help you with your search. Always be precise with how much you are willing to pay the rent and what kind of neighbourhood you're looking for so the can give you the best options. Some landlords do not include the cost of essential services like water, gas and electricity in you monthly pay. In Sydney, the average cost of your utilities is €120 per month. An unlimited internet connection is around €45 monthly, and local mobile prepaid calls are charged at €0.50 per minute. Sydney has the highest cost of living compared to other Australian cities since it is the country’s centre of finance and business. You can find houses/flats that are available either for short term or long term lease agreement. Most expats are living in the city centre where they are close to the restaurants, shopping malls, major supermarkets and offices. Here, the price of a one bedroom unit starts at €1600 and €3100 for a three bedroom unit. You can also find rentals in neighbouring towns where a one bedroom apartment is typically €1100, and a three bedroom unit is around €2000 per month. You can find international shipping and removal companies that provide door to door service to Sydney. With all the things that you have to take care of when moving abroad, it’s a big deal of help to have experienced professionals assist you in bringing your belongings efficiently to your new home. It takes up to 42 days for the containers to arrive in the Port of Sydney where local customs officers will conduct an inspection of the cargos. For more information about the city’s import regulations, click here. You are allowed to take your pet to Sydney as along as you provide relevant documents such as the original Rabies Vaccination Certificate and International Health Certificate, which are both issued by a licensed veterinarian. Keep in mind that your pet needs to comply and undergo ten-day quarantine before it's allowed to enter the city. Sydney will welcome you with its vibrant communities, incredible scenic views and active nightlife. This city is also a melting-pot of diverse nationalities, proving that its one of the places that you can call home away from home. 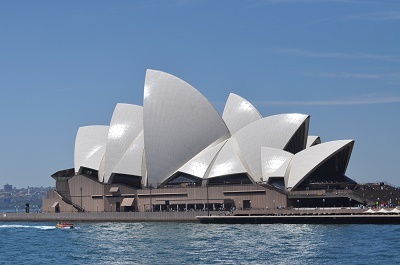 Sydney is one of the biggest cities in Australia and is widely known for its infamous Sydney Opera House. Its thriving economy and modernised cosmopolitan have been luring thousands of expats from all parts of the world. Deciding to live in Sydney means that you are about to experience a high quality of life in the midst of its multi-cultural communities and vibrant environment. The next few paragraphs contain some information that can be extremely helpful for your upcoming journey in the capital of New South Wales. Expats need to secure a local license first because International Driving Permit (IDP) is only valid in Sydney for no more than three months upon arrival. Getting a New South Wales Australian license is hassle free for expats coming from Singapore, Germany, Canada, France, USA, and the United Kingdom because they are exempted from the eye, driving theory and practical tests. Those coming from other countries are required to undergo and pass those tests before they can obtain an NSW permit. The road conditions in Sydney are well maintained and in excellent condition. Prepare yourself to encounter traffic, because it can be heavy especially during rush hour. Expats should also be extremely cautious when driving outside the city centre or in rural areas at night to avoid hitting wandering animals like kangaroos. 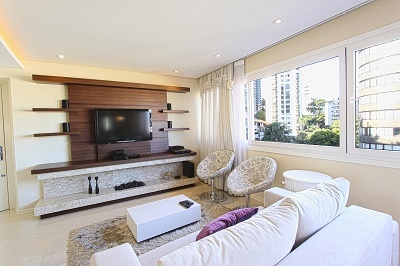 One of the most important things to know when moving abroad is where to shop for daily needs. In Sydney, two major supermarkets have branches almost everywhere. First is Woolworths which is open from 8am to 9pm and Coles Supermarket that operates between 8 in the morning and 9 in the evening. A little up the north shore of Sydney is the famous Turramurra plaza where you will find banks, florists, bakeries, meat shops, fruit stands and a petrol station. There are also several local markets like the Sydney Fish Market in Darling Harbour where you can buy various types of seafood, and the Eveleigh Farmers Market that sells fresh produce and organic products. Sydney prides itself on having magnificent beaches like the iconic Bondi Beach where locals love to swim, sunbathe and enjoy water sports. You can also visit the famous Harbour Bridge that is often seen in almost every Sydney postcard. Those who want to experience nature can go to Royal Botanic Gardens, a vast 30 acres of land adorned and filled by 7,500 species of plants while expats who love animals can take a trip to the Sydney Wildlife World. Today, Sydney is one of the world’s most diverse and cosmopolitan cities. A major financial hub, Sydney employs many of its citizens in the finance, banking, retail, property and manufacturing sectors. With more than 40% of Sydney’s citizens being born overseas, the city remains an attractive option for expats looking for work overseas. According to the United Nation’s city population forecast, Sydney is predicted to add 800,000 inhabitants to its population between 2015 and 2030. Ethnically, Sydney holds a large number of immigrants and expats from all over the world. While the majority of Sydney’s population is Australian, other ethnicities found include Chinese, Irish, Scottish, Italian, Greek, Indian and German. Aside from Australians, the second most populous ethnicity in Sydney is the English. Australian English is the most common language spoken in Sydney, as 60% of the population speaks it. Other languages frequently used in the city include Arabic (4.4%), Cantonese (3.4%), Mandarin (2.6%), Greek (2.2%) and Vietnamese (2.0%). 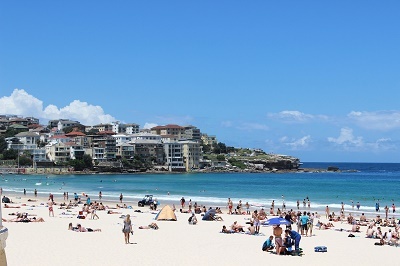 Sydney has a subtropical climate which is characterised by humid to warm summers and cool winters. Between the March and June, the city experiences a hot temperature that reaches up to 90⁰ F. It is also the time of the year when most cases of bushfires are reported as well as heat stroke or exhaustion. Winter usually starts in July and is considered to be the coldest month where the temperature can drop below 9⁰C. This season often brings rain showers and occasional hail storms so expats shouldn’t forget to pack raingear as well as warm clothing like a coat, gloves and winter boots. Sydney is considered as one of the highest car-dependent cities in the world which is the leading cause of its current struggle against air pollution. The local government is making a rigorous effort in lowering down the harmful vehicle emission by promoting and improving its network of public transport particularly the trains to reduce the number of cars on the streets. Sydney is also known for implementing an “urban forest growth project” whereas trees are being planted in the metropolitan to reduce the level of air pollution.